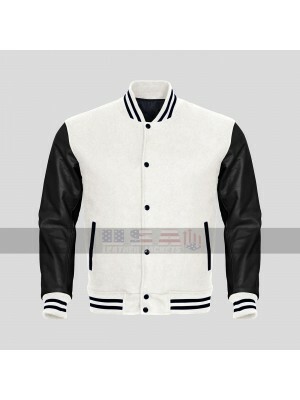 Andrew Garfield Round Collar Varsity Jacket A daily wear Jacket is always something that turns out to be a very significant consideration in all regards no matter what. 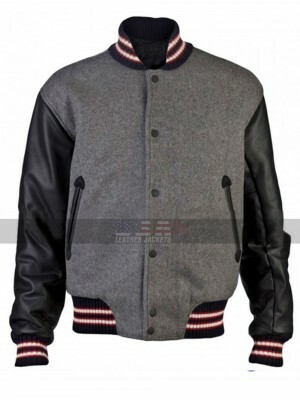 However, when it comes to the making of this Varsity Jacket all you can ..
Beverly Hills Cop was the famous classic series. The role of Axel Foley was played by the Eddie Murphy. 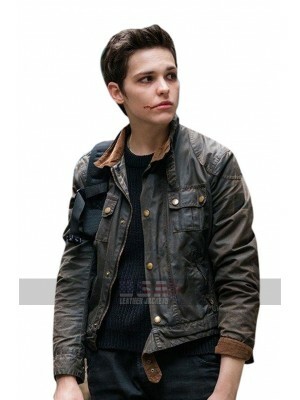 He wore this classic jacket in the entire series. 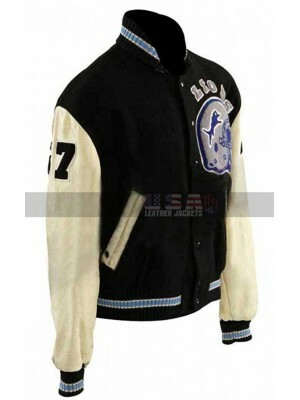 USA Leather Jackets has manufactured Axel Foley Detroit Lions Letterman Baseball Varsity Bomber ..
Michael J. 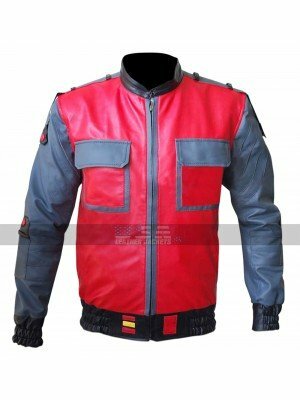 Fox Back to the Future Part II Marty McFly Costume Jacket ..
We have yet another varsity jacket, and this is an exclusive addition to our catalog just for you! 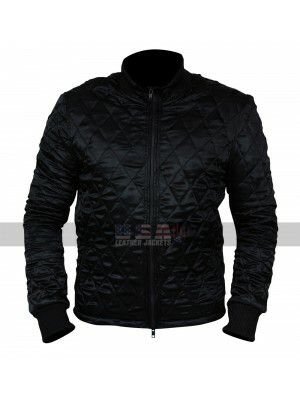 With time Varsity Jackets people have liked them mostly because of its minimalism and modern style pattern. 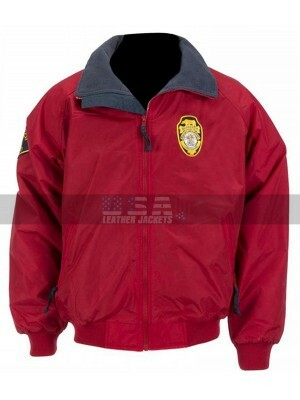 Baseball Varsity Multi-color Wool Varsity L..
Get your hands on a stunning cotton jacket inspired from the famous American action drama series Baywatch. 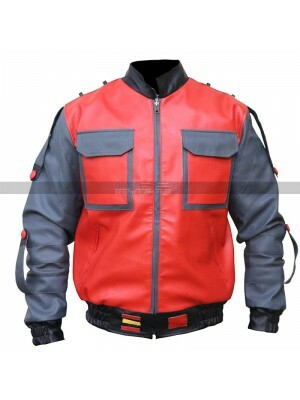 The senior American actor David Hasselhoff portrayed as Mitch Buchannon and appeared fabulous in this brightly hued, bomber, costume jacket. Ba..
Beauty lies in the eyes of beholder but for this leather masterpiece, much of the charm and beauty lies in itself. 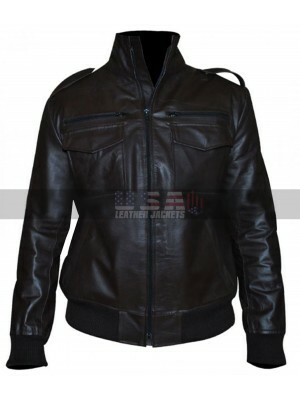 It is an irresistible fashion ensemble taken from the famous American sitcom Brooklyn Nine Nine. 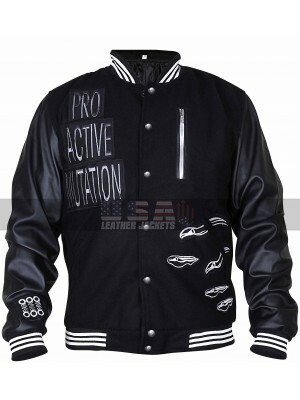 The gorgeous outerwear was stylishly c..
Ansel Algort Divergent Bomber Leather Jacket Divergent is a popular movie series and its characters are very popular. 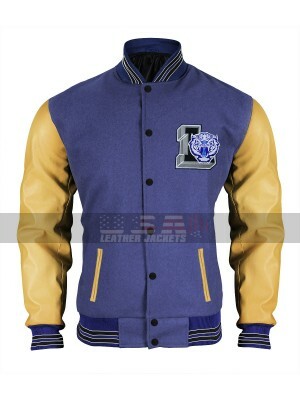 This letterman jacket is associated with the movie. It was worn by the Ansel Elgort, who is playing the character of Caleb Prior .. 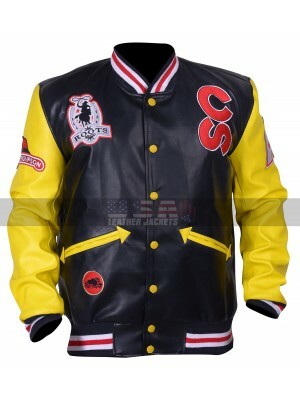 Roots Cowboy Calgary Stampede Bomber Leather Jacket Held every year in Calgary, Alberta, Canada, Calgary Stampede is a rodeo event. It is billed as The Greatest Outdoor Show on Earth. 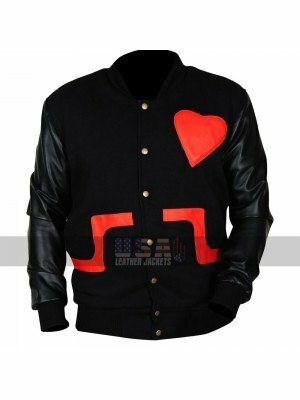 This Calgary Stampede Roots black and tallow leather jacket has..
Chris Brown Valentines Unisex Varsity Letterman Jacket This jacket is a must have a choice of attraction which must always form to be an utmost beauty and attraction for many people the first reason being it has been an inspiration from a celebrit..